Agroecosystems are facing a global challenge amidst a socioecological transition that places them in a dilemma between increasing land-use intensity to meet the growing demand of food, feed, fibres and fuels, while avoiding the loss of biodiversity and ecosystem services. 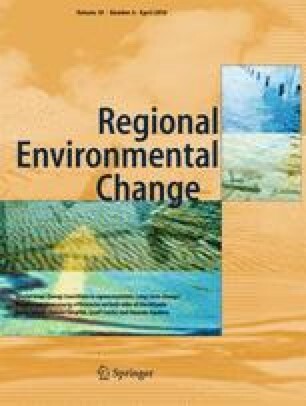 We applied an intermediate disturbance-complexity approach to the land-use changes of a Latin American biocultural landscape (Cauca river valley, Colombia, 1943–2010), which accounts for the joint behaviour of human appropriation of photosynthetic capacity used as a measure of disturbance, and a selection of land metrics that account for landscape ecological functionality. We also delved deeper into local land-use changes in order to identify the main socioeconomic drivers and ruling agencies at stake. The results show that traditional organic mixed-farming tended to disappear as a result of sugarcane intensification. The analysis confirms the intermediate disturbance-complexity hypothesis by showing a nonlinear relationship, where the highest level of landscape complexity (heterogeneity–connectivity) is attained when disturbance peaks at 50–60%. The study proves the usefulness of transferring the concept of intermediate disturbance to biocultural landscapes and suggests that conservation of heterogeneous and well-connected mixed-farming, with a positive interplay between intermediate level of disturbances and land-use complexity endowed with a rich intercultural heritage, will preserve a wildlife-friendly agro-ecological matrix likely to house high biodiversity and ecosystem services. This work has been supported by the international Partnership Grant SSHRC-895-2011-1020 on ‘Sustainable farm systems: long-term socio-ecological metabolism in western agriculture’ funded by the Social Sciences and Humanities Research Council of Canada and by the Doctoral Scholarship Grant 12010XU0401200 funded by the Pontifical Javeriana University in Colombia.